Are you a new vinyl fan or are you the loyal supporter of analog? 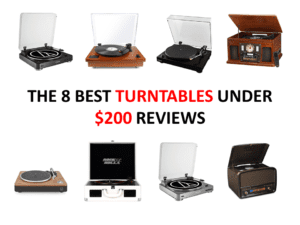 Doesn’t matter which side you come from, but if you are looking at obtaining a good yet inexpensive vintage turntable, then you have to give this a serious consideration. Catching on the vinyl wave (or not)? There has been talk in town saying that vinyl is now getting more popular than ever, not sure if you agree with that fully. 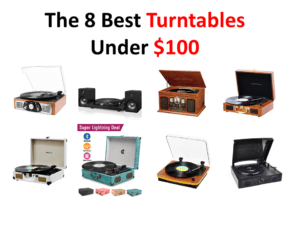 Perhaps why that impression is formed is because in recent years, more and more people appreciate vinyl albums and we have seen the climb in sales of vintage turntables. 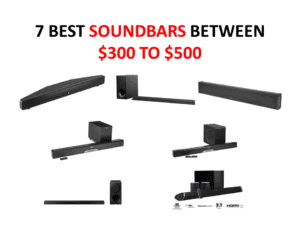 This is also proven by numbers as many manufacturers both the old boys like Pro-Ject, Music Hall and the very new entrants to the play such as U-Turn’s Woburn, Massachusetts are giving consumers lots of options. What and how U-Turn Audio came about? Brief introduction here so that you know who you are buying from and whether these folks have what it takes to build a good product that you want. Woburn, Massachusetts U-Turn Audio had a unique birthplace; they were born out of a successful campaign launched on Kickstarter. Kickstarter is a platform where ideas get supported by the masses and come to live. In early 2013, they successfully launched their campaign and delivered quality turntables to the delights of their supporters. After that, they never looked back. Why did U-Turn Audio receive popular support? The answer is very simple: they know what consumers want. High performance but yet affordable in budget. That has been their anchor since the beginning and they have done well on this promise. They understood that the market is getting more segmented and audiophiles are getting increasingly more sophisticated with their hearing demands. They are giving the incumbents a good run for their money. Definitely U-Turn Audio is not competing in the high entry levels, since they only started few years ago, they are smart to just focus and gain market share in the entry level turntables. 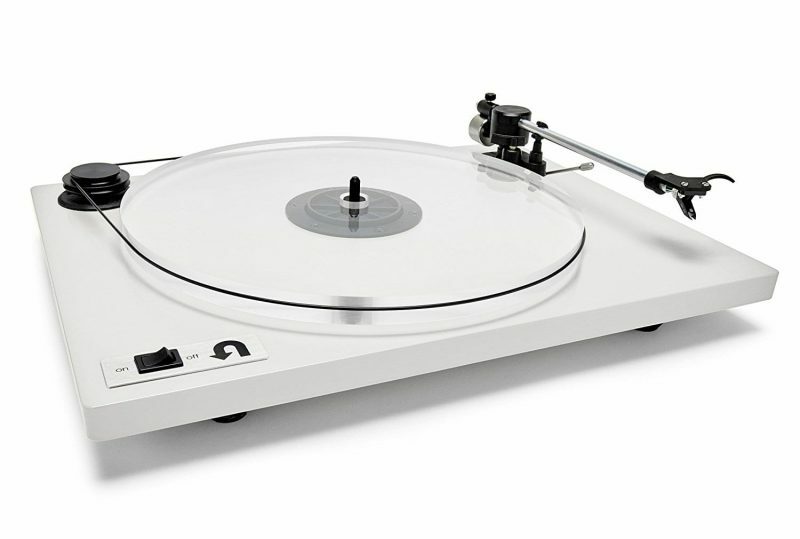 If you are looking for just that, you will love this turntable. Oh and if knowing this adds points to their image, their turntables are assembled manually by hand. They also have a very strict set of standard operating procedures when it comes to criteria testing such as wow & flutter tests and performance evaluation standards. Perhaps that is also what won them respect and support. This turntable appeals to a wide segment of audience as it does not attempt to guess what people like, instead it provides a range of options for others to choose from. Five colors for your liking, you can select from Green, Blue, White, Red or Black. To each his own, you make your choice. For those of you who are asking, it comes with a clear plastic dustcover so you don’t have to go out of the way to hunt for a new one. I find it sleek and trendy, light hearted and it commensurates with the times. It is of the size: 5 x 17 x 13 inches. The U-Turn Orbit Plus turntable is belt driven and they are equipped with the moving magnet cartridges. To my delight, it comes with a pre installed Grado Black 1 cartridge. For those of you who are wondering if moving magnet cartridges is a good deal, it is pretty good for entry level and recreational purposes. The platter is made of acrylic material. Now, how is the sound quality? I give it a nine out of ten score. Why? The sound it produces has good definition, is warm clear with high crisps, overall very beautiful when several albums were played. Some of you may be wondering if you would need a stereo receiver for this, the answer is yes: you need one with a phono input or you can use a phono pre-amp. U-Turn Audio also has complimentary components you can consider such as their Pluto phono pre. Not sure if this would be within your budget, if its not, don’t worry there are lots of other choices in the market. With a good performance, low priced turntable, does it means setting up takes quite some effort? To my surprise, it does not need much set up on my end. U-Turn Audio indeed understand the pain point of its consumers by having the dreaded complicated parts configured in their laboratories. Setting up is as easy as putting the platter (which is acrylic made and pretty thick) on the turntable’s spindle, while you do the usual wrapping of the belt around the platter and motor. After which you take away the needle guard from the premounted cartridge. What about setting the tracking force? 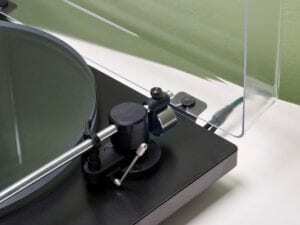 U-Turn Audio has already done that for you, on top of that, the player’s tonearm is also balanced and cartridge is aligned too. Literally nothing very much for you to get your hands dirty before you start listening to your favorite vinyl albums. 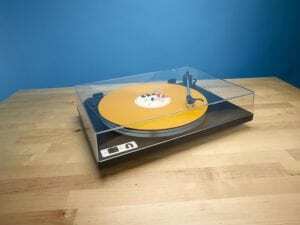 This U-Turn Orbit Plus turntable with built in Preamp: that is hand built by Woburn, Massachusetts is the masterpiece for the vinyl lovers from beginners to seasoned fans. By what measures its worth my recommendation? Good quality build, solid detailed and warm sound performance at a fraction of the high cost, where its reasonable price for your new hobby, budget friendly for your upgrade. Basically achieving excellence from assembling the most important components and focusing on what consumers genuinely need rather than the distracting do or do-without features. Easy to set up turntable, which gives you the manual experience as you get to do your hands-on work while playing your favorite vinyl albums. Strongly recommended. Check out the latest promotions on Amazon. As we all know, the Denon brand has been around since the beginning of the 20th century, with its humble beginnings in gramophone players, but gradually venturing into more of such innovations in the audio industry, which led to the creations of numerous high quality products, such as the Denon DP-300F. With a long strung history like this, its reputation is solid and undoubted, which puts its consumers at ease. In comparison, how does the U-turn brand match up? U-turn has less of a rich history and it is founded in modern times. Started off in a small workshop in Massachusetts, it has not scaled significantly due to its persistence in forging every piece of turntable by hand. With its suppliers close by in vicinity, U-turn establishes pretty consistent and stringent quality control and strives to deliver the musical enjoyment at affordable prices. What kind of music enthusiast are you? So, it’s the old versus the new, it seems. Do the two fare equally? Well, that really depends on what you’re on the look-out for. U-turn, with its strong emphasis on simplicity as seen from a minimalist design, has its eyes set on the younger crowd. It targets people who have a sophisticated preference for music, but yet places equal importance on visual and design aspects of the turntable. Denon, on the other hand, places more emphasis on delivering superb music quality to its audience. But there’s no telling which is better just by looking at the outer appearance isn’t it? Let’s jump into the specifics to find out. How do the specifications match up? Between the DP-300F and the U-turn Orbit. The most significant difference lies in the Denon DP-300F is semi-automatic and the U-turn Orbit runs on a manual system. In this sense, the DP-300F is good especially when you’re preoccupied with something else, because you don’t have to take the trouble to take the needle off and flip the record. However, the Uturn also comes with an optional cueing lever, which helps to keep it steady. Both the Orbit and the DP-300F are belt-driven, this should be fine for casual listeners at home though, as direct drive setup are more for people who will be scratching and DJing, due to the faster response time in switching RPMs and a higher torque power. It is, however, rather troublesome for the Uturn when it comes to switching PMs. This is due to the lack of a toggle or switch button on the Orbit, but rather the use of a removable plastic o-ring which is less convenient and might be subject to wear and tear. The Denon DP-300F does not present such issues in this case. Is there any considerations for upgrading and maintenance? However, the DP-300F offers limited options in terms of upgrading, other than several minor adjustments and a new cartridge. Its stylus is also irreplaceable on its own, thus if anything goes wrong with it, know that you have to replace the entire cartridge, which is not necessarily cheap. The Uturn does provide more potential for upgrading. There have been complaints regarding how the Uturn Orbit doesn’t come with a counterweight and it may present as an issue. However, this is no longer the case as Uturn now offers the Orbit Arm 2 which comes with a heavier counter weight. It also has an internal clamping mechanism which makes it easier to fine-tune VTF and properly align the counterweights when switching cartridges. A stronger anti-skate also makes it a good call for an upgrade. For its cartridge, one can also opt for the Ortofon OM5e, which offers a warmer mellow sound, or the AT91B, which sounds brighter and more detailed at the treble. How does the sound performance compare with each other? In terms of wow & flutter, the Orbit measured at 0.2% as compared to the Denon DP-300F which is lower at 0.1%. This means the DP-300F is more stable and its platter fluctuates less as it spins, in a sense that there is greater stability as compared to the Uturn Orbit. The DP-300F uses a phono preamp which the Orbit is lacking in (can be upgraded). However, when the signal strength to the preamp drops, the preamp mutes its output which means that very quiet passages do get lost. Otherwise, the Denon DP-300F does deliver good sound quality. We also determined that the Orbit is able to deliver a sound experience that boasts a warm analog sounds with crisp highs and good definition. It can easily accommodate to any type of songs and deliver a decently pleasant experience as compared to its competitors. As such, we conclude that both the Denon DP-300F and Orbit are equally well-matched in terms of sound quality. It seems that the Uturn Orbit may appeal to the younger hippy crowd. The Denon DP-300F surely is good, but there are many other good ones out there, and the pros delivered by the Uturn Orbit matches up with the DP-300F, but outdid it with the cheaper price tag. Its pricing is more entry-level which presents itself as a cheaper alternative. With its simplistic design, there is simply not much to be figured with. Literally 1 button to operate the machine, which means not much complexities to maintain it as well. Its much more affordable price point also means that you can do the optional photo built in, upgrade the platter if you feel that it is necessary, and it’ll still be cheaper than the DP-300F. Uturn orbit has a minimal aesthetic that won’t stand out significantly, but it does have its humble charm of delivering superb music experience at a very affordable price range. It brings about accurate representations of music, no matter whether it is digital or analog, bassy or not. Have I heard better? Sure. But at this price point? Definitely not. It’s a bargain if you ask me. Therefore, if you’re looking to explore the turntable world but isn’t ready to commit to a great deal of budget, the Uturn Orbit could be your ideal starting point before getting serious about it. If now you are keen in the Denon DP 300F, you are most welcomed to compare it with other models in our previous article called: “Having options for cartridge upgrades look at Denon DP-300F, with the Ortofon 2m red upgrade” or alternatively click here to get there. Why the Onkyo TX-8160 is receiving so much good feedback?